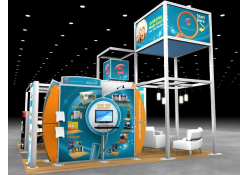 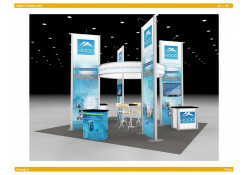 Save money by renting a 20' x 20' Island booth exhibit from Trade Show Emporium! 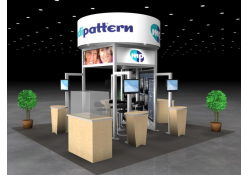 Our line of rental booths will add presence at your next convention. 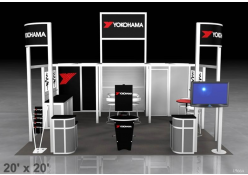 Incorporate LCD monitor stands or LCD monitor mounts, literature racks, product display shelving, iPad Standsand lighting to your booth.